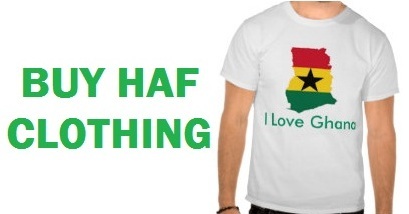 Hailed as West Africa's golden child, Ghana deserves its place in the sun. It's easy to come here for a week or a month, but no trip can be complete without a visit to Ghana's coastal forts, poignant reminders of a page of history that defined our modern world. 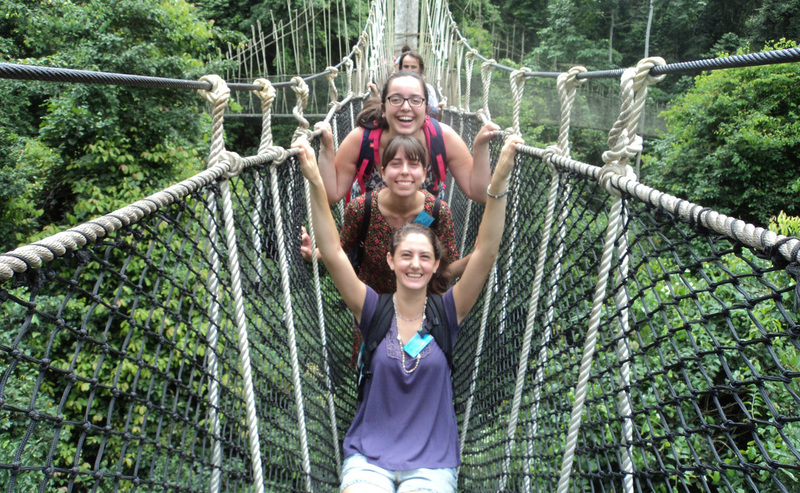 HAF Ghana Tour offers a truly amazing adventure taking you on a tour to intimately show you life in Ghana, safely and comfortably. Ghana is a magical place full of history, rich culture, scenery, diverse wildlife and some of the friendliest people on earth. While it is difficult to name just the most important destinations, we have compiled some of the top attractions in Ghana that is a must-see. if you do not know where to start. We are here to organize the very best, safe, fun and cost effective trip for you to see and explore Ghana’s top attraction sites. Whether you are traveling to Ghana for volunteer work, research, internship, business or leisure and needing a reliable cultural tour, our experienced guides will quickly have you relaxed and enjoying the life in Ghana. We are experts on Ghana and keep focused on our area of expertise. Ghana's beating heart probably won't inspire love letters, but you might just grow to like it. The capital's hot, sticky streets are perfumed with sweat, fumes and yesterday's cooking oil. Like balloons waiting to be burst, clouds of dirty humidity linger above stalls selling mangoes, banku (fermented maize meal) and rice. The city's tendrils reach out towards the beach, the centre and the west, each one a different Ghanaian experience. Accra is the capital and largest city in Ghana with the population of over two million. Accra provides a wide range of accommodation and other tourist facilities and services for both business and holiday tourists. The Accra metropolis hosts the National Museum, which houses a collection of Ghana’s historical treasures; the National Theatre, with its distinctive modern Chinese architecture; and the International Trade Fair, whose arts and crafts bazaar and traditional textile market is the best place to find traditional handicrafts from Ghana and all over West Africa. The Mausoleum is a magnificent Marble Monument and the last resting place of the first President of Ghana, a famous Pan-Africanist Osagyefo Dr Kwame Nkrumah. The Kwame Nkrumah Mausoleum and memorial park is located in downtown Accra precisely High Street. The park itself is an attractive masterpiece and a futuristic creation. Welcoming you into the park are two springs of water on either side of the pavement/walkway. The springs have 7 bare chest squatting statuettes flute blowers, literally blowing springs out. In Ghanaian culture, flutes are blown to welcome very important dignitaries and on special occasions. Therefore by this symbolism, it can be concluded that all visitors to the park as seen as very important people and there are no second class citizens of Ghana and for that matter Africa. The two main features of Kwame Nkrumah Mausoleum are the museum and the mausoleum. The mausoleum is the actual place that the mortal remains of this true son of Africa have been interred for the third time in the past 39 years if one looks at the fact that the body was first buried in Guinea before being brought to Nkroful and later the Mausoleum for a final resting place. The edifice resembles swords that have been turn upside which many say signifies peace. Others also see it as an uprooted tree signifying the unfinished work of Nkrumah. The mausoleum itself is built on a beautiful man-made island. The island is connected to the mainland by two bridges. Visitors to the park will find the catafalque under which remains of Nkrumah has been buried raised in the middle of the park. This is decorated with carefully selected symbols reflecting the rich cultural history of Ghana and Africa. The Art Center is the place to go in Ghana’s Central Accra to buy good quality crafts from there and neighboring countries. This is a popular location for tourists wanting a one-stop-shop for arts and crafts. The stalls are crammed full with textiles, carvings, bags, music instruments, clothing and jewellery. The stalls continue through the main hangar, and into an outdoor market that holds the more interesting treasures such as metal ornaments, drums, wood furnishing, antiques and leather goods. There is less hassle at the back of the market. All prices are negotiable. Boti falls is a spectacular seasonal waterfalls is situated in the Eastern Region of Ghana, about 17km Northeast of Koforidua, the regional capital of the Eastern Region. These waterfalls features two falls, side-by-side and are accessed via a scenic descent via 250 concrete steps to the bottom of the falls. This waterfall was first to be enlisted by the national Tourist Board because of its magnificent nature. A somewhat strenuous hike to Umbrella Rock can also be done from the visitor center. The view from Umbrella Rock is unforgettable, but we recommend doing this in the cool of the morning. The Akaa Falls is a mere 7 km from Boti Falls and are also seasonal in nature. Like Boti Falls, the akaa falls are also accessed via scenic 250 concrete steps to the bottom, where a canyon of water can fall around you from 3 sides if the flow is good. Lookout rock is a nearby attraction that you may visit when at the falls. After climbing a somewhat frightening bamboo ladder, you arrive to top of a large flat rock that looks out over an amazing forest vista. It is quite an incredible experience. The Aburi Botanic Garden is one of the most beautiful peaceful and fascinating places in Ghana. The Garden covers an area of 64.8 hectares (160 acres) but only 12.2 hectares (3 acres) have been developed in to a formal garden with the remaining 52.6 hectares forming the Botanical reserve. Aburi is located in the cooler mountains north of Accra (about 45 minute drive). Visiting the gardens is both an educational and aesthetic experience, with beautiful palm lined lanes and a wide variety of traditional, medicinal plants, including a silk cotten tree (Ceiba pentrandra) that is the sole survivor of the original forest that once covered the Aburi hills. This species is one of the largest trees in West Africa, growing to 48m or more, with a girth up to 5-7m above the buttresses. This is one of the sacred trees of West Africa. Dodi Island located 3 miles off the shore of Lake Volta. It is a tourist destination and a land place for the cruise ship, Dodi Princess. The cruiser liner has two decks – a lower, air-conditioned deck which seats about 100 and an upper deck with a canopy overhead which provides a commanding view of great expanse of water. The vessels measures 45 meters long by 12 meters wide and has a gross tonnage of 450 meters. It is fitted with state of the art navigational and safety equipment for the comfort and safety of its passengers. There is regular cruise to the Dodi Island departing the Akosombo Port at 1030 hours on Sunday s returning to the port at approximately 1600 hours with a one-hour sightseeing stopover on the island. The cruise is most popular among Ghanaians and foreign visitors alike with its hot barbecue lunches, a well stocked bar and live band entertainment and dancing aboard. Children aboard are also well taken care of with indoor and video games on the lower deck. NZULEZO is an amazing village where life goes on in the centre of Lake Tadane, just 90km west of Takoradi. Nzulezo stilt village is linked by a canal which opens into a lake. The banks of the canal are made of different trees and the lake is covered with lilies and fringed with raffia palms and lush jungle. The Nzulezo community is a purely indigenous one where everything including the buildings, mode of transport etc. is made from natural materials. The houses are built on stilts, and traditional village life adapts to the watery conditions. Almost every household has a canoe which is used a major mode of transport to the Beyin. The excursion from Beyin involves a walk through the reeds at the lakes edge, and a trip in a dugout canoe to the village. The village welcomes visitors every day except Thursday, which is a sacred day. Ankasa Resource Reserve and Nini Suhien National Park are two protected forest areas that come together to form a rich Ecotourism labyrinth of about 510 square km of virgin forest, great for exploring. This beautiful park is located in the Western Region of Ghana very close to the border of the Ivory Coast. It houses the highest biodiversity of any of the parks in Ghana. The biodiversity is so rich that over 300 species of plants can be found in a single hector (around 700 varieties of plants have been found in the park as a whole), over 70 different types of mammals are found in the park, 10 types of primates, over 260 species of birds and hundreds of varieties of butterflies. Its natural resources are enough to announce its presence on the world tourism map as haven and Ghana’s tourism address. Therefore, it is no wonder that Ankasa remains as one of the natural treasures of the nation. The Kumasi Centre of National Culture is located in the Kumasi city centre. It is about 5 minutes walk from the Bantama Royal Mausoleum.The Centre provides a good account of the rich Ghanaian culture, and also provides evidence of the Asante Kingdom's eminent past. It houses the Prempeh II Jubilee museum, which provides a fascinating collection of Asante's history such as memorabilia of Okomfo Anokye, including the 300 years old antique treasure bag which he barred anyone from opening. Cape Coast Castle is a fortification that was first built of timber in 1653 along the Gulf of Guinea in Ghana, West Africa. The Castle was built for the trade in timber and gold, but later it was used in the trans-Atlantic slave trade. The Castle, or Castle and Dungeon, to give it its official name, was restored by the Ghanaian Government after Ghana became independent. Visitors to the castle learn about the history of the castle, the slave trade along the gold coast and the history of the castle’s use as a slave dungeon. Visitors will surprisingly find a place of worship on top of the male dungeon which is an irony judging from the kind of inhumane activities that took place in the Castle. But the Europeans could be forgiven since the first motive for building the castle was to trade in commodities and not human cargoes. Kakum National Park protects plant and animal treasures of the African tropical forest and is a haven for the casual visitor, birdwatcher, amateur botanist and ecotourist alike. Thirty kilometers north of Cape Coast via a paved road, you will find rare plant species in a spectacular environment where some trees reach heights of over fifty meters. After viewing the exhibits at the Visitor's Center, the drama of the jungle comes alive as park guides provide insight into this complex ecosystem. You will learn about traditional forest product uses for medicine and daily village life. The Kakum National Park is home to elephants, monkeys and elusive bongo antelopes which roam among over 800 rare species of birds, butterflies, reptiles and amphibians. But beside its vast natural endowment of plant and animal species, the presence at Kakum Park of world class receptive facilities for visitors such as the 333 meters long tree-top walkway and a multi-purpose visitor centre, have accounted for the park's status as an irresistible destination for eco-tourism. Mole National Park is Ghana's largest wildlife refuge. The park is located in northwest Ghana on grassland savanna and riparian ecosystems at an elevation of 150 m, with sharp escarpment forming the southern boundary of the park. The park's entrance is reached through the nearby town of Larabanga.The Lovi and Mole Rivers are ephemeral rivers flowing through the park, leaving behind only drinking holes during the long dry season. This area of Ghana receives over 1000 mm per year of rainfall. A long-term study has been done on Mole National Park to understand the impact of human hunters on the animals in the preserve. The park's lands were set aside as a wildlife refuge in 1958. In 1971 the small human population of the area was relocated and the lands were designated a national park. The park has not seen major development as a tourist location since its original designation. The park as a protective area is underfunded and national and international concerns exist about poaching and sustainability in the park, but its protection of important resident antelope species has improved since its initial founding as a preserve. The park is an important study area for scientists because of the removal of the human population from within the park allowing for some long-term studies, in particular, of relatively undisturbed sites compared to similar areas of densely populated equatorial West Africa. One study on the resident population of 800 elephants, for example, indicates that elephant damage to large trees varies with species. In Mole, elephants have a greater tendency to seriously injure economically important species such as Burkea africana, an important tropical hardwood, and Butyrospermum paradoxum, the source of shea butter, over the less important Terminalia spp. Mount Afadja is the highest mountain in Ghana, at an elevation of 885 metres (2,904 ft). The mountain is located in the Agumatsa Range near the villages of Liati Wote and Gbledi, in the Volta Region of Ghana at the border with Togo. Afadja is the name of the mountain whereas 'To' in the Ewe dialect means mountain therefore it is pronounced as 'Afadjato' by the indigenes. The correct name would be 'Mount Afadja' as 'Mount Afadjato' will be a repetition of the 'Mountain.' There is a nearby peak in Togo, about 3 km to the northeast, sometimes called Aduadu, which is higher than Afadjato, at over 900 m. There is a belief among some that Aduadu is in fact the highest point in Ghana, although it is located in Togo. The name of the mountain was derived from the Ewe word Avadzeto, meaning "at war with the bush. The name derives from the presence on the mountainside of a plant causing severe skin irritation. Wli Waterfalls is the highest waterfall in Ghana and West Africa.It has a lower and an upper fall.It is a recreational place for all who want to derive relaxation from nature. The Wli falls is a perennial flowing water from a height of about 400 metres. It is the highest waterfall in West Africa: and takes only about 45 minutes leisure walk (level road) from Water Heights Hotel to the Lower-Fall. The Upper-Fall - which requires climbing - takes another 30minutes to reach. A roundtrip hike along the Agumatsa mountain ridge and forest to get to the Upper and Lower Falls. This route (which is innovated by Water Heights) allows visitors to view both falls (Upper and Lower) at a go. It requires 6 hours of hiking, sightseeing as well as taking dips in the two waterfalls. Tafi Atome, a small village in the Volta Basin, is best known for the Tafi Atome Monkey Sanctuary, one of the most popular and well-run ecotourism projects in Ghana. According to local guides, the mona monkeys native to this area were considered sacred as the spirits of their fallen warriors. As residents slowly abandoned the old beliefs in favor of Christianity, the taboos on killing monkeys weakened, and the monkeys' numbers declined. But more recently, seeing the potential to both develop the local economy through ecotourism and to protect the monkeys, the village worked with an American Peace Corps volunteer to establish a wildlife sanctuary. Today, Tafi Atome is one of the best run ecotourism projects in Ghana. Proceeds are reinvested in the community, including the recent construction of a medical clinic (unfortunately closed due to lack of medical staff). A guesthouse is available onsite, and breakfast and dinner are provided to those staying the night. Excellent guided tours of the forest are also included, beginning with an obligatory morning stop to see the monkeys.